If you went to church as a kid, you know that the Baby Jesus was born in a manger because there was no room for them at the inn. Many of us have been in those Christmas pageants, where one of the girls got to play Mary (coveted role) while another girl had to play Joseph with a fake beard and they walked across the stage from inn to inn asking for a place to stay because, after all, Mary was preggers. All the innkeepers shook their heads no until one nice one agreed to put them up in the stable (or was it a cave–biblical scholarship is mixed on this minor point). But then, voila, baby appears in a soft bed of hay with a pretty blue blanket. But really, don’t we all know, having a baby in a stable could not have been a picnic. And don’t we wonder, did Joseph help Mary through her labor, telling her to breathe rhythmically? I doubt it. There may have been a midwife, but we will never know this part of the story. It’s been sanitized over the years and honestly, by the men who wrote it. Back in those days, having babies was woman’s work. Did Mary wonder? First a bright, slightly overwhelming Angel comes to her with the big news that she’s having a baby by the touch of God and then, her world begins a slow crumbling until her ends up in a strange city, pregnant, with not even a bed to give birth to this wunderkind. Oh yes, Mary had lots to ponder in her heart [Luke 2:19]. I can imagine that throughout the time of her pregnancy and the birth of her son, she was feeling ostracized from her community and her family. I doubt very seriously that anyone around her (except for Elizabeth who lived in a different city altogether), believed Mary was the anointed mother of the Messiah. There was no room for this story as it was happening. All she had was a prophecy, a promise, a supernatural appearance, and a dream to hold on to through their trials. They were homeless and alone. They were poor and without many resources. 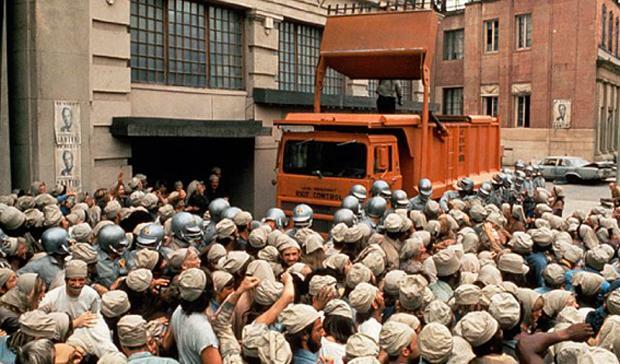 When the phrase “no room” came to me, outside of the Bethlehem story, I remembered the science fiction movie, Soylent Green, a film that was loosely based on Harry Harrison’s novel, “Make Room! Make Room!” : a civilization gone mad, over-populated and consuming green wafers made from– (well, you should watch the movie or read the book). There was little room for anything or anyone. No room for human caring, no room for individualism, no room for random acts of kindness. Nothing, just survival: food, shelter & clothing. Is it too much to ask? But are we doing much better? Have we such busy lives that there is no room? Have I? Is my schedule so packed that there’s no room for the unexpected need, the human soul in distress, the unforeseen incident or meeting? Am I turning away a Mary or a Joseph because I am too busy? Am I turning them away because I am protecting my own little half acre? Really? No room? Who am I in the real Christmas story played out every day?